Oscar contenders are adding to their gross as "Bohemian Rhapsody" catches up to "A Star Is Born" and looks certain to surpass it. As we approach the end of January, the first month of 2019 will see the lowest number of tickets sold in at least 25 years. The total could be down some 20 percent from last year, which followed similar drops in each of the preceding two. This weekend will come in around $100 million in total gross. That’s a drop of $43 million, or 30 percent, from pre-Super Bowl weekend 2018. M. Night Shyamalan’s “Glass” (Universal) led all films on its second weekend with $19 million, but fell 53 percent. (Last year, “Maze Runner: Death Cure” yielded $24 million.) The totals for the two new releases, “The Kid Who Would Be King” (20th Century Fox) and “Serenity” (Aviron), starring Matthew McConaughey and Anne Hathaway, could manage only half the “Glass” total. Throw in a low-end response to Oscar nominees and the results are discouraging indeed. “The Kid Who Would Be King” earned favorable reviews, but the its lack of familiarity combined with some resistance to foreign accents kept it from getting the sampling that could lead to good word of mouth. Its middling B+ Cinemascore makes the nearly double Saturday gross from Friday (without previous night previews) look decent, but the movie started from a poor level. Even if the film manages to gain some traction it will be tough for it to reach $30 million domestic, with around half that returned to its studio. And that studio is soon to be part of Disney, which is seeking more non-franchise product to flesh out their release schedule and supplement programming for their upcoming Disney + streaming service. “The Kid Who Would Be King” should be an example of what they hoped to see — at least until these results. Though it cost less than half as much, “Serenity” was expected to perform better based on its cast, which also includes Jason Clarke, Djimon Hounsou, and Diane Lane. The twisty romantic mystery from acclaimed writer-director Steven Knight (“Peaky Blinders,” “Locke”) earned poor reviews, however. With no pre-sold elements, this original item couldn’t gross even $5 million, the lowest debut gross for a film on over 2500 screens since Amazon’s disastrous “Life Itself” last September. That’s less than young distributor Aviron’s two earlier wide releases, “Kidnap” and “Strangers: Prey at Night,” managed last year. A 53 percent drop for a horror genre film its second weekend isn’t that extreme. But context matters. M. Night Shyamalan’s film is of a higher pedigree than a most others. It faced very little competition from new releases. On its second weekend, its predecessor “Split” only fell 35 percent. Luckily for Universal, “Glass” only cost $20 million, so it should make a profit, even though its $40-million opening with no competition in sight should have yielded a much higher result. Taking advantage of the weak market, over two weeks STX’s Kevin Hart-Bryan Cranston comedy “The Upside” has shown real lasting power. It fell 18 percent this weekend, and only 26 percent its second. The weaker market helps, but this English language remake of “Intouchables” is clicking with audiences and has a shot at reaching $100 million. It could become Hart’s second- biggest top-billed grosser after “Central Intelligence” in the last four years. Lower than usual drops also applied to other Top Ten titles who have been in the market for a while. The best performer is “Spider-Man: Into the Spider-Verse” (Sony), also down 18 percent. “Aquaman” (Warner Bros.) continues to hold well, down 27 percent, now possibly reaching $340 million domestic. Worldwide it is just under $1.1 billion. The biggest box-office gain this weekend was prime awards contender “Green Book” (Universal), now in its 11th week, which has gone from limited opener to gradual expansion to its widest point (2,430 theaters) after last week’s Oscar nominations. It’s hardly a record response to nominations — “The Post” last year grossed $9 million on its third weekend of wide release, about $10 million ahead of “Green Book” at this point. But the bump is exactly what Universal has counted on to give the movie a boost in the home stretch. “The Favourite” did about half as well this weekend. Among other Oscar leaders, “Roma” (Netflix) is streaming parallel to playing in 80 arthouses, “BlacKkKlansman” (Focus) was a summer release, and “A Star Is Born” (Warner Bros.) has begun home viewing. 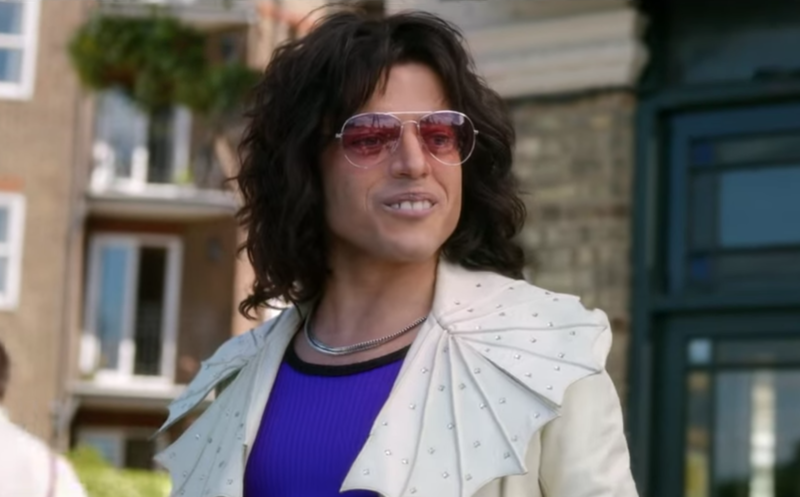 Another Oscar contender, Fox’s “Bohemian Rhapsody,” is now only $500,000 behind “A Star Is Born” (both a little over $200 million)and looks certain to surpass it. Even with its stronger than expected opening last October, few would have predicted that outcome. But overall, the performance of Oscar films in Best Picture and acting categories was weak – only about $15 million total, compared to $31 million post-nominations last year (this year excludes “Spider-Verse,” which has been holding well all along and whose fans likely aren’t that concerned about awards.) This was a year that could have used these contenders boosting overall grosses. The public seems to get less interested every year.